Senior year is the time where kids start to make the transition from childhood to adulthood. They’re expected to have their future planned, from their career to the number of kids they want to have. It seems as though these people who have those expectations have never heard of Murphy’s Law. I’m not saying you shouldn’t plan anything, just that there is no way to plan everything especially when you’re not exactly sure who you are or what your purpose is here on Earth. The most common question I’m asked by strangers who learn I’m a senior is “Where are you going to college,” and the most common answer I give is “I don’t know.” This unfavorable answer often is followed by a series of comments that suggest that I’m supposed to know where I’m going. What confuses me about these interactions is who these people are and why they think they get to have an opinion on what I am “supposed” to know. In a recent interaction with one of my former teachers, I received some much needed advice after I told her about my future plans. I told her that I wanted to study law and political science, which is slightly different from what I used to want to major in. Of course she asked me what changed, and I told her that a lot of people told me that it was a bad idea to major in what I originally wanted to major in. Then, she explained to me how she majored in something she wasn’t passionate about in graduate school because she wanted other people to be impressed by what she was doing. Once she realized it was something she really didn’t want to do, she asked herself why did she care what other people thought and then proceeded to ask me if I really wanted to study law and political science. Then I realized I actually didn’t know if I wanted to major in political science and law. Why do I care about what people think of what I’m doing with my life? 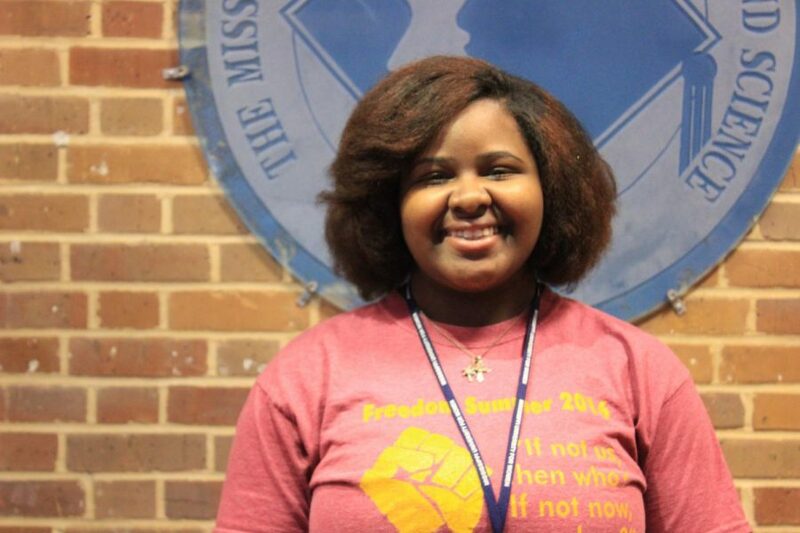 I know I say “I want to major in law and political science to become president” because I’m an African American woman from the Mississippi Delta. Life is a series of intermingled stories and everyone wants to be the hero in someone else’s story. Everyone wants to excel against all odds so when a person hears me say that that’s what I want to do they instantly begin to root for me and I become the hero of their story. So I sat down and asked myself why I wanted complete strangers to root for me, why I wanted validation from people who don’t know me and why I wanted to be their hero. The short answer is because it feels better than someone telling you shouldn’t do something because who’s going to tell a black girl she shouldn’t be president? In my conversation with my former teacher, we also talked about where listening to other people gets you. For her it was a boring major, student loans, and a boring, passionless job she’s stuck at until she can pay off those loans. For me it’s that same impending future unless I decide not to listen to other people. That’s the issue with being eighteen years old and forced to learn useless information that won’t necessarily help point me in a specific direction career-wise. I don’t know who I am yet or what I want let alone how to get what I want, but for some reason not only strangers but also my family thinks I should know. My mother once told me, after I told some strangers that I didn’t know where I wanted to go to college, that people don’t want to hear that I don’t know where I want to go to college. She said people really mean “Where are you applying?” Well I thought to myself if people really cared about all the places I was applying to wouldn’t they have asked me “Where are you applying” and not “Where do you want to go.” I think people know the difference between those two questions and if they don’t they shouldn’t be asking me anything. I also recall a time where I woman heard that I was applying to a certain college and she told me that I was going to be somebody if I went there. I guess she meant well by what she said but I just had to let her know that I was already somebody. I felt incredibly disrespected by that comment because firstly it puts a lot of unwanted pressure on me to go to that specific college and secondly it could discourage a person if they didn’t get into that college. Thankfully my mother raised a very strong willed woman who has faith in her own abilities. What I really wanted to let the woman know, after she said that to me, was a college doesn’t make me and I can and will be “somebody” regardless of where I go. Of course I couldn’t say those exact words, but I hope she reads this article and apologizes in the comments. Everybody has an opinion but the wonderful thing about an opinion is it’s just an opinion. It’s not set in stone and you don’t have to agree or listen to it. I know this is my life and I don’t have to be the hero in anyone’s story so and the only persons approval that I truly care about is my own. This is my life and I will make my own mistakes so don’t tell me what to do because I got this, period. Jessikah you are indeed an independent thinker as have the ability to make good choices for yourself. Always remember you can’t please people. Please God first and everything else will line up. In my opinion journalism could also prove as a choice of majors. Of course it’s just my opinions.